For each of the three levels, we engaged advisors to help us develop our curricula. They included professionals who teach sewing, leaders from social service agencies and women's business development organizations, and sewn product manufacturers, retailers, and tailors based in Kansas City who need to hire skilled seamstresses. Participants are identified through our social service agency partners. Under the tutelage of Rightfully Sewn's Director of Curricula and Instruction and classroom mentors, the participants move through a rigorous curriculum and carry out regular homework assignments. 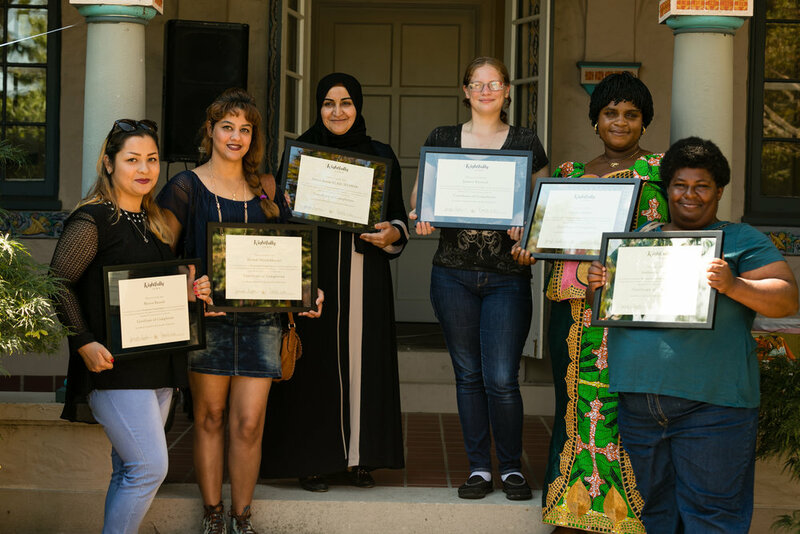 Upon completion of the eight-week program, Rightfully Sewn assists graduates into seamstress jobs in the Kansas City community. Please sign up for our e-newsletter to receive updates about our programs.